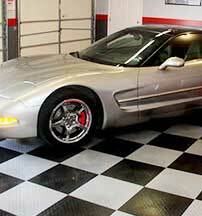 Ready to remodel your garage floor but not sure where to start? This video will help you understand your options. 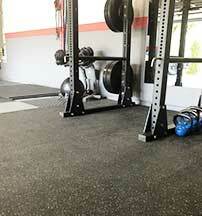 Learn the differences between Modular Tiles, Flex Tiles and Garage Rolls and discover which option will help you achieve the look and feel you’re going for. 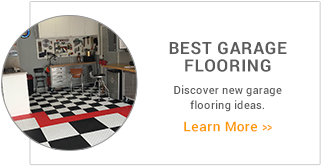 At Garage Flooring, Inc. our mission is to provide customers with the best quality garage flooring products at discount prices through an easy to use, secure website. 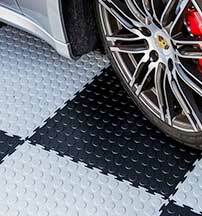 We offer an extensive variety of garage floor covering including plastic and PVC garage floor tiles that interlock for an easy installation and vinyl garage flooring rolls that are durable and inexpensive. 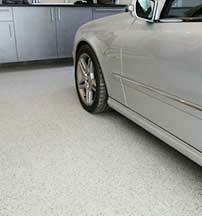 Home garages, commercial garage floors, workshops, and sheds are just a few examples of areas where you can find and see the need for garage flooring. 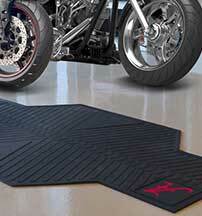 Garage floor coverings add slip resistance to any floor and with a variety of colors and patterns available; you can customize any garage floor to fit your unique style and personality. 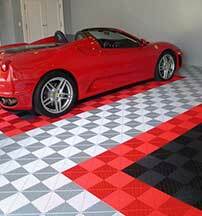 GarageFlooringInc.com also offers a custom Flooring Designer to help design any custom pattern of garage tile installation. 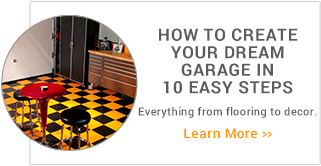 GarageflooringInc.com is more than just floors, we also offer a wide range of storage options that will finally allow you to use your garage for what it was built for. From garage storage cabinets, slat walls, hooks and baskets, we offer a wide range of garage storage options that are not only affordable but are also built with high quality materials. 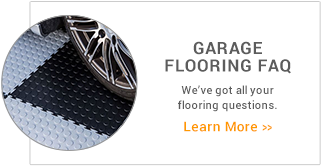 In addition, GarageFlooringInc.com guarantees the lowest price and easiest install on all of our rolled and modular garage flooring solutions and our storage options. 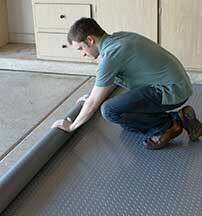 Installation videos are included for each and every product to help demonstrate how to install garage flooring and cabinets whether you purchase from us or not. 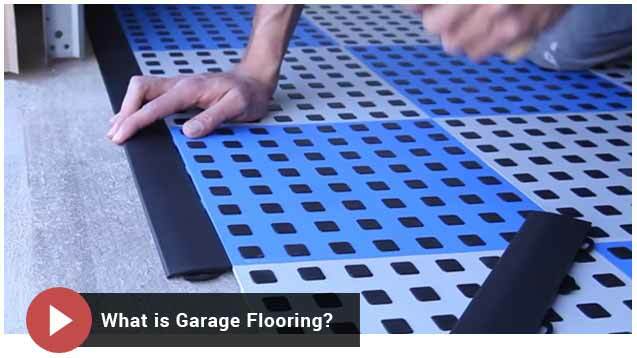 The goal of GarageFlooringInc.com is to make sure our customers have the best shopping experience possible when they are deciding what type of garage flooring or cabinetry to use. A friendly and dedicated customer service staff is also ready to help ease the selection process and make your garage floor or storage purchase stress free. We love to help.